Established in 1996 we are a family business started by two brothers, becoming a limited company in 2001. 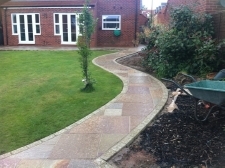 We specialise in building and construction, Block paved, Paved, and tarmac drives and patios. We offer a guarantee on all of our work and an excellent after sales service.